If you are considering attending an outdoor event and want to actively promote your brand through the use of a custom structure or a dressed Marquee or tent iDeal Displays are here to help with many years experience working at such prestigious events as 2012 Olympics, Wembley Stadium NFL, Goodwood Festival of Speed and V Festival, we know what it takes to manage these challenging projects. Similar to indoor custom build exhibition stands, these types of events require careful and precise planning. There are many other elements that have to be considered such as electricity, internet, flooring, hardware, graphics, installation, storage, Health & Safety, Liability insurance, Risk Assessments, Method Statements, Plant hire, etc. Successfully managing a project like this requires professional assistance. iDeal Displays work tirelessly to deliver custom outdoor structures with impact, liaising with Event Organisers and managing the complete process, ensuring your focus and priority remains on capitalising on the lead generation from an event. We offer a complete service ranging from initial design concepts,managing all elements and submissions through to transport, installation, breakdown and storage. 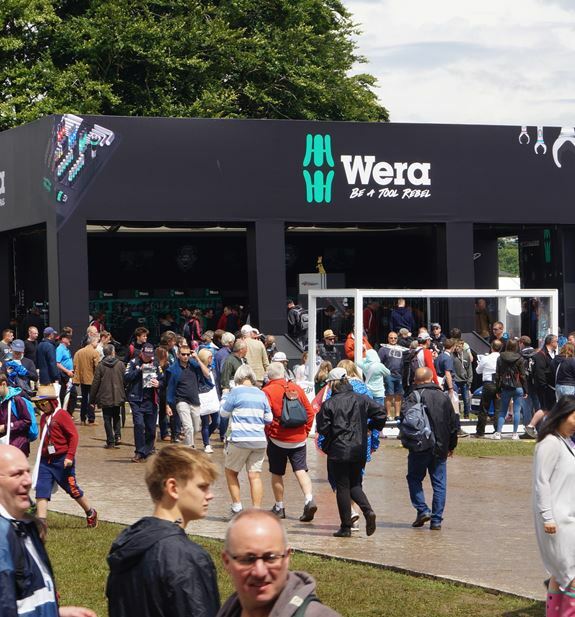 worked with Wera Tools UK for the past 3 years at Goodwood Festival of Speed and on Tool Roadshows around the Country. 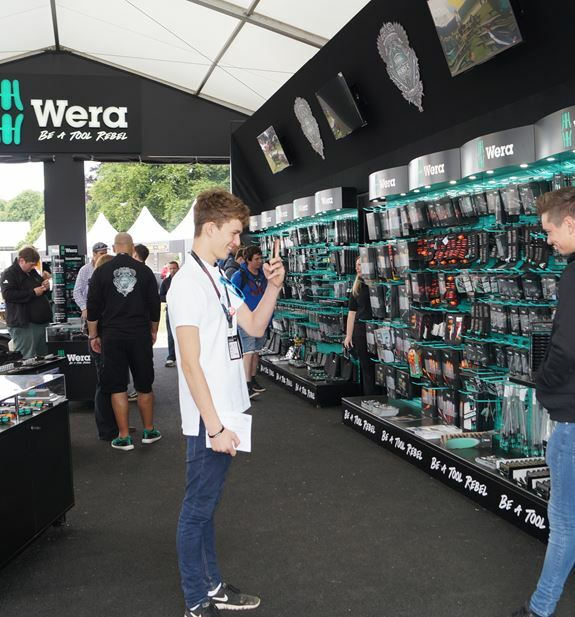 There is a synergy between quality tools and the motoring enthusiast and it is for that reason that Wera Tools UK exhibited at one of the most prestigious events on the motorsport calendar – Goodwood Festival of Speed. Initially exhibiting within the trade village with two unbranded 5M x 5M Marquees, Ian Walford was disappointed with the brand recognition, “We just were not getting noticed. For those who found us, the reception they gave us was brilliant - we needed more of the 200,000 visitors to know we were there” commented Walford. phenomenal, with product lines selling out during the event and their competitors talking about the stand for months afterward. print the Wera Tools Brand was clear for all to see. The team at iDeal Displays work with us as partners and truly understand the passion, culture and enthusiasm we have for our business and capture that in the quality and finish to our Stand. at Wera Tools is fantastic, they are all totally committed and passionate about their products it is a pleasure to build a custom structure that reflects the quality of their products and their professionalism”. graphics for signage, exhibition stands, building wraps and vehicle wraps.